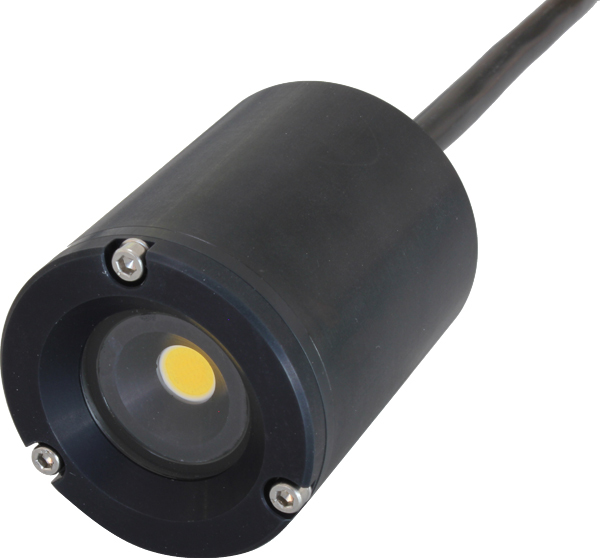 The Led Light module delivers brightness, reliabilty and remote controlled networked lighting system for ROV, AUV and lighting platforms. Tow and drop camera system. For scientific community - Defence and security - Energy - Aquaculture. Rugged, reliable and compact housing. High performance led COB up to 1500 lm. Can used down to 300 meters deep. Thermal protection electronically regulated to protect the LED and LED driver from high temperatures. Housing material: Anodized aluminun or Stainless Steel.